Well, In last 2000 when We started with web development, most sites were built using HTML(code), CSS and even Flash. These took a lot of time to learn and not easy for a new one. That’s the main reason most people still think creating a website from scratch is difficult or requires a lot of coding and design skills – but that’s no longer now true! In 2003, content management systems (CMS) like WordPress,Magento,OpenCart,Drupal made easy creating a website and accessible to everyone(no need hard coding). To say in simple a Content Management System(CMS) (or website building platform) is a user-friendly platform for building websites and managing your own online content, instead of using hard codes pages. As you can see from the graph above, nearly half of the Websites Presence on the Internet are running on the WordPress(CMS) platform. 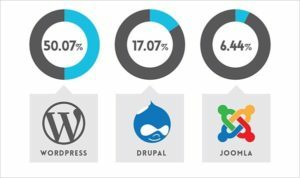 Why WordPress is better than the Other CMS? It’s totally FREE, with many themes, plugins to choose from. Huge support and developer community available to help regard’s any issue. Your website will be ‘Responsive’. Meaning it’ll work on mobiles & tablets, too. Small or large website? Best for both. A domain name (a web address like www.yoursitename.com). Hosting (Keep your website files/a service that connects your site to the internet). There are a lot of Domain and hosting providers on net like Godaddy, Bigrock,Hostgator. 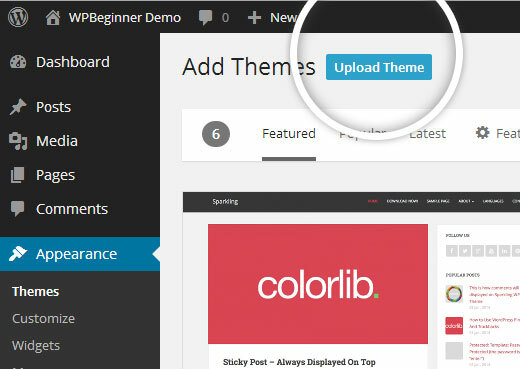 STEP #3: Install WordPress into your Hosting. *After creating database now go to website url(yoursitename.com) and install WordPress by filling database name(as you created in last step). Search Best fit layout for your website, there are a lot of WordPress themes available on internet. Download Theme best fit for. Login to your website Dashboard (yoursitename.com/wp-login.php). Go to Appearance> Upload theme> choose your download Zip theme. Now you have a look of your website. … if you still have any questions, don’t hesitate to get in touch with us.